Occasionally I find a product so awesome, I just have to share it with you all. 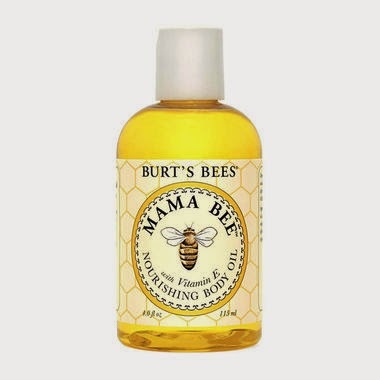 So today I'm going to give you the low down on this Burt's Bees Mama Bee Nourishing Body Oil. I've been using this body oil since I had the Rowsellettes, and it has worked wonders on the stretch marks I got from breast feeding and my c-section scar. My scar, while still visible, looks really good. My husband keeps commenting on how you can hardly see it anymore. I attribute this mainly to the Vitamin E oil in this product. Vitamin E is traditionally known to help minimize scarring.